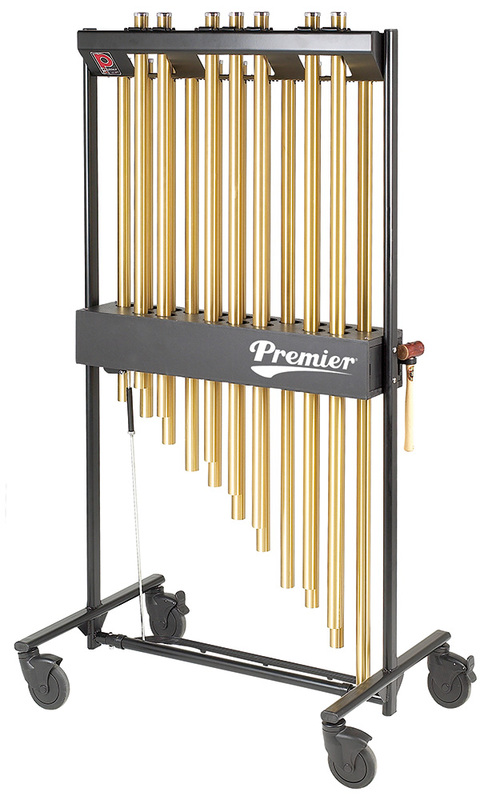 Premier Orchestral Chimes are made of brass tubes and provide authentic bell sounds without having to use huge church bells. 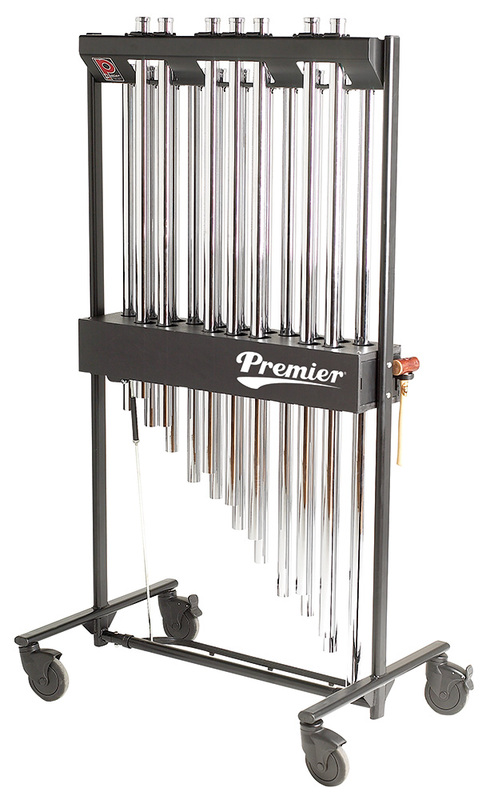 Premier chimes are available chrome plated or in natural brass and the improved damping mechanism provides accurate and immediate damping as soon as the pedal is released. 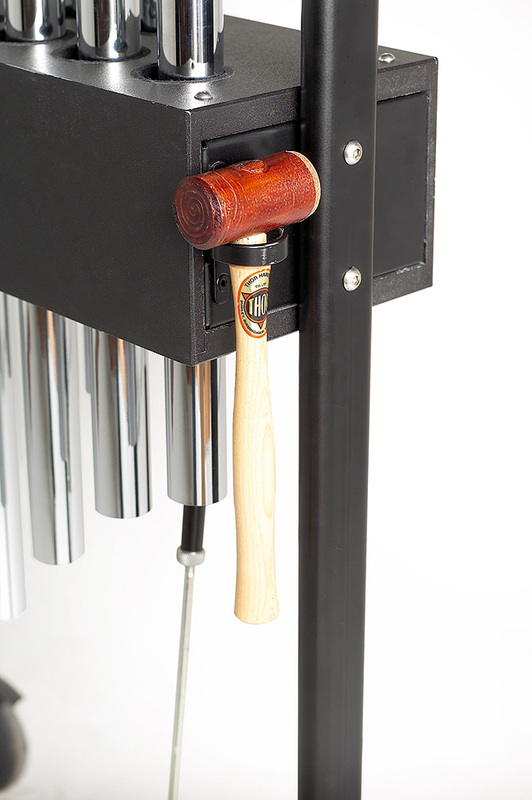 All models feature two mallet holders and a pair of high-quality mallets is included. 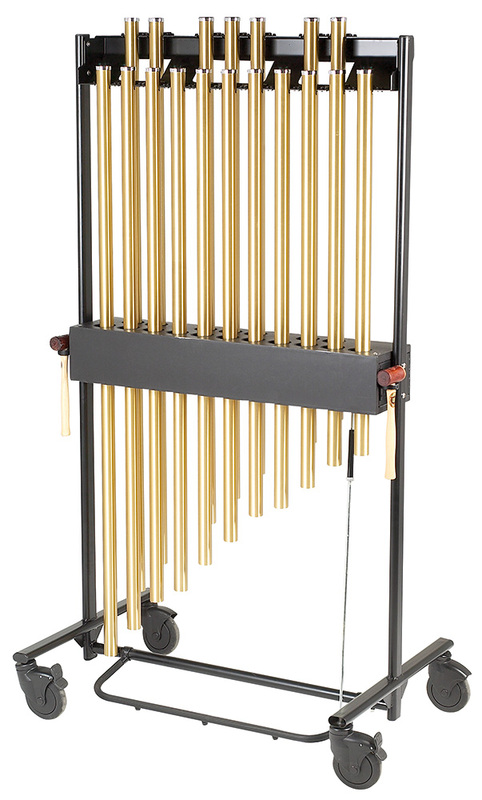 The robust yet elegant frame is as at home in concert halls as it is on the field and at outdoor events, all chimes being perfectly weather resistant. 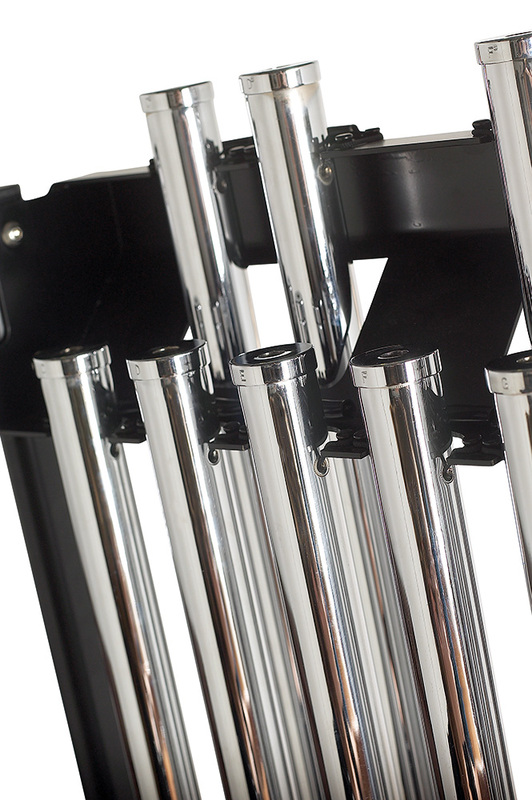 For extra protection during storage, a deluxe, padded full-length drop-cover is provided. 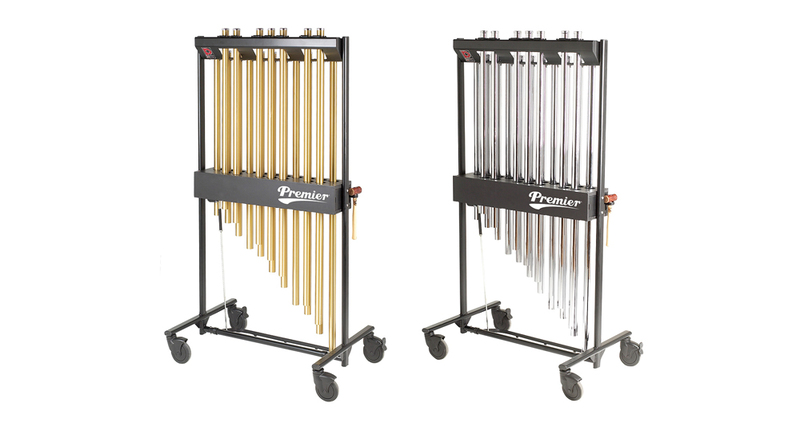 Premier’s world-class chimes provide a superlative sound making them the first choice of world leading ensembles such as the Frankfurt Opera. 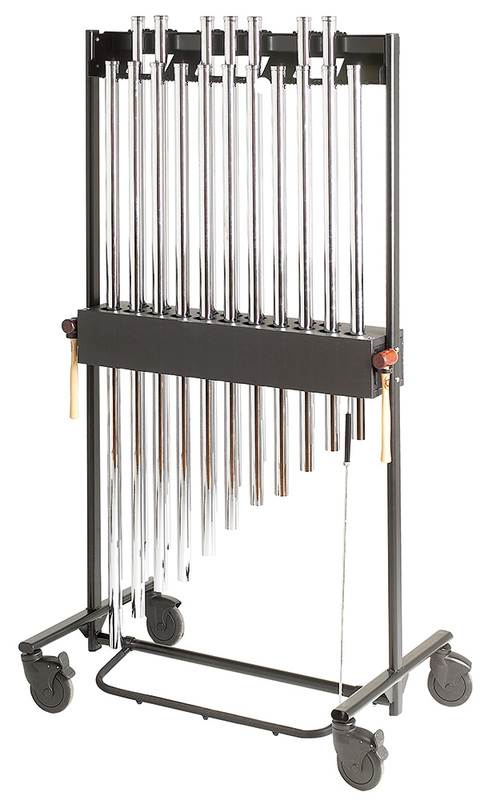 When ordering this instrument, please specify your desired tuning from A440 (A0), A442 (A2) or A443 (A3). 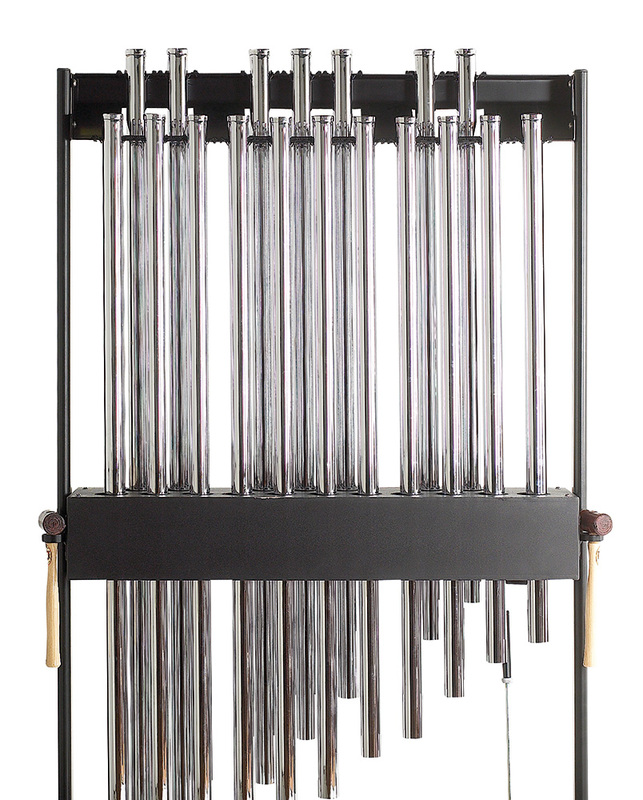 For example 0885BK/A2.